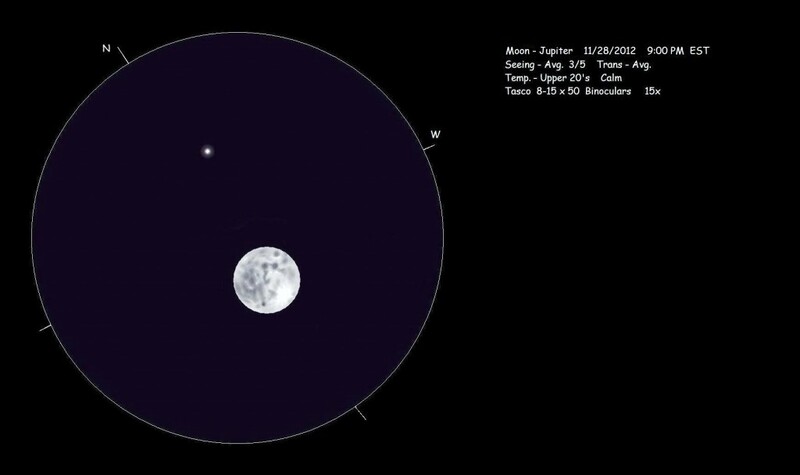 On the night of 11/28/2012 the Full Moon was shining brightly with Jupiter as its companion. The sketch was done while looking through an old (circa 1960’s) pair of Tasco 8-15×50 binoculars which I recently had refurbished. I used the binocs at 15x for the sketch which was done in Warren county NJ, USA on a laptop computer. I like this combination view of our Moon and Jupiter. Next Next post: The Big Bear Ate an Owl?